This giveaway has ended but stay tuned for future giveaways and freebies! Congratulations to Susan and Tina! This post will be short and sweet so that you can click on the link below and get started ASAP on our MEGA Giveaway! 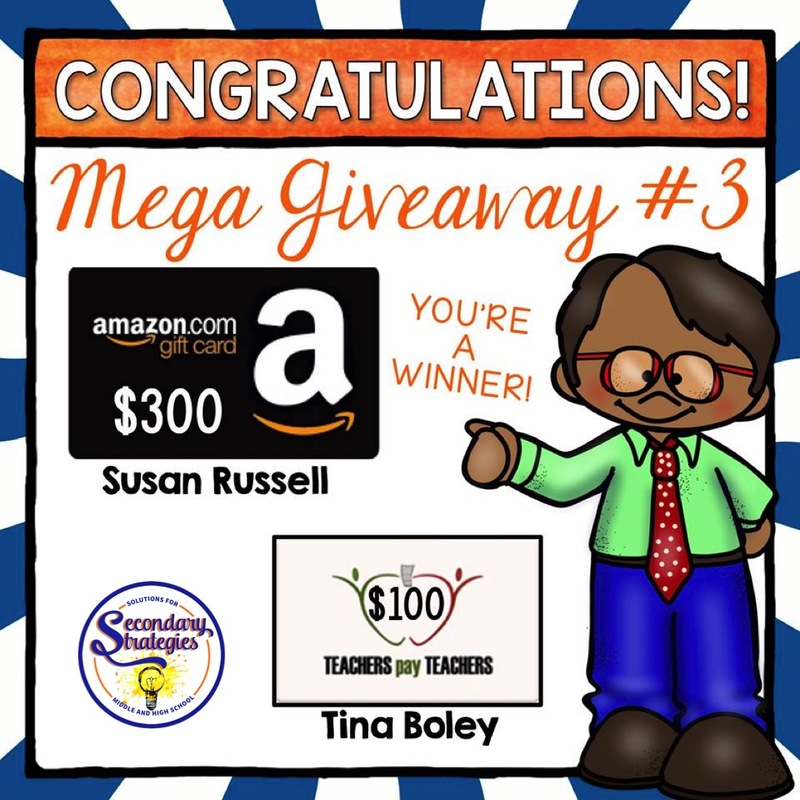 I’ve teamed up with some wonderful teachers for this giveaway of one $300 Amazon gift card and one $100 TpT gift card! Just think about all of the TpT resources, classroom supplies, or technology items you can be yours when you win one of these! Best of all, it’s not hard to enter. Simply click on this link and follow the easy instructions. Of course I hope that one of MY followers wins it all! Best of luck to all of you!